Picking recommended ELISA Kits will save you time - yet all 100 products covered by our Money Back Guarantee! 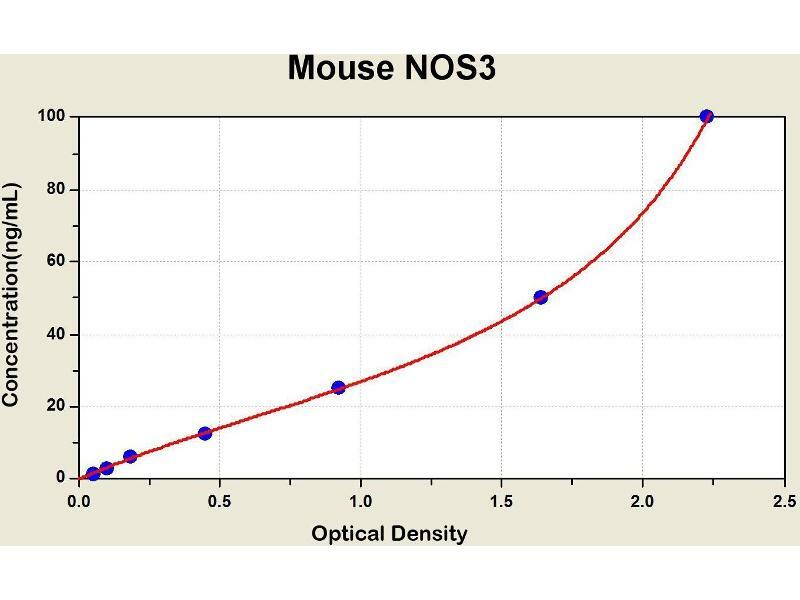 Diagramm of the ELISA kit to detect Mouse NOS3with the optical density on the x-axis and the concentration on the y-axis. 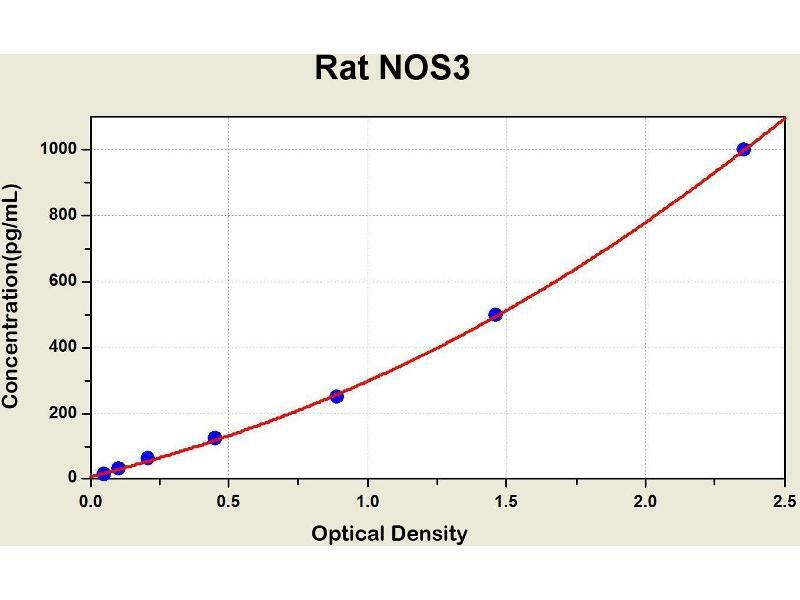 Diagramm of the ELISA kit to detect Rat NOS3with the optical density on the x-axis and the concentration on the y-axis. 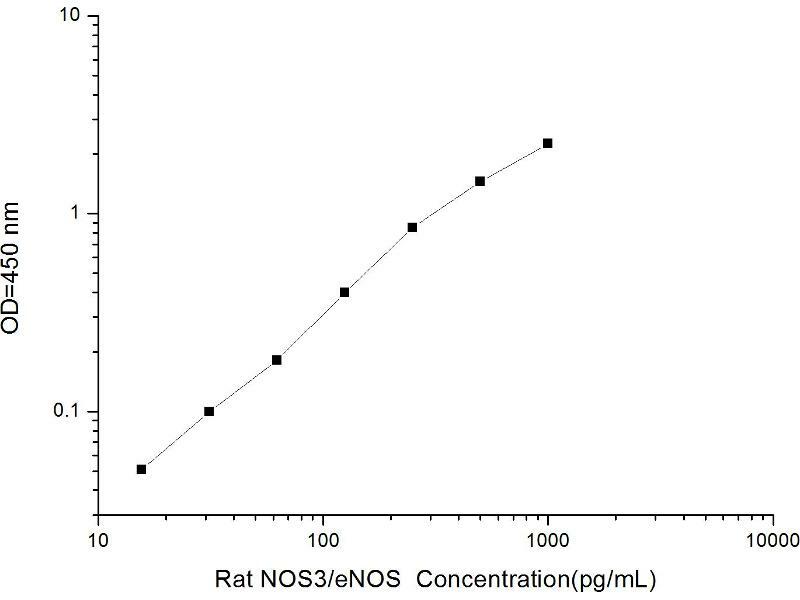 Nitric oxide is a reactive free radical which acts as a biologic mediator in several processes, including neurotransmission and antimicrobial and antitumoral activities. 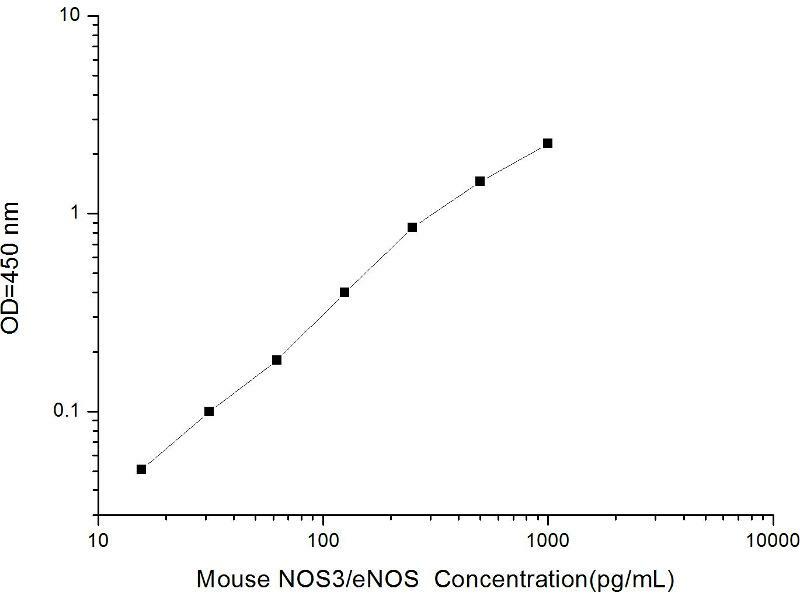 Nitric oxide is synthesized from L-arginine by nitric oxide synthases. 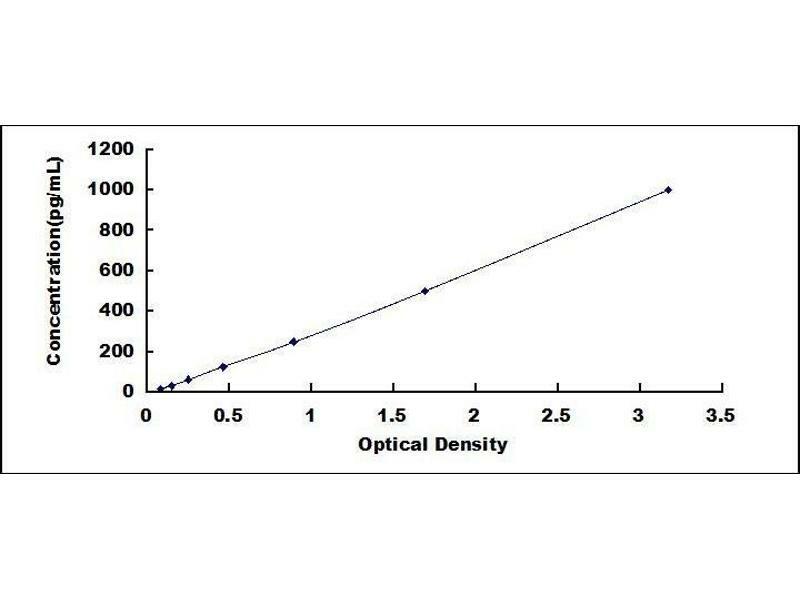 Variations in this gene are associated with susceptibility to coronary spasm. 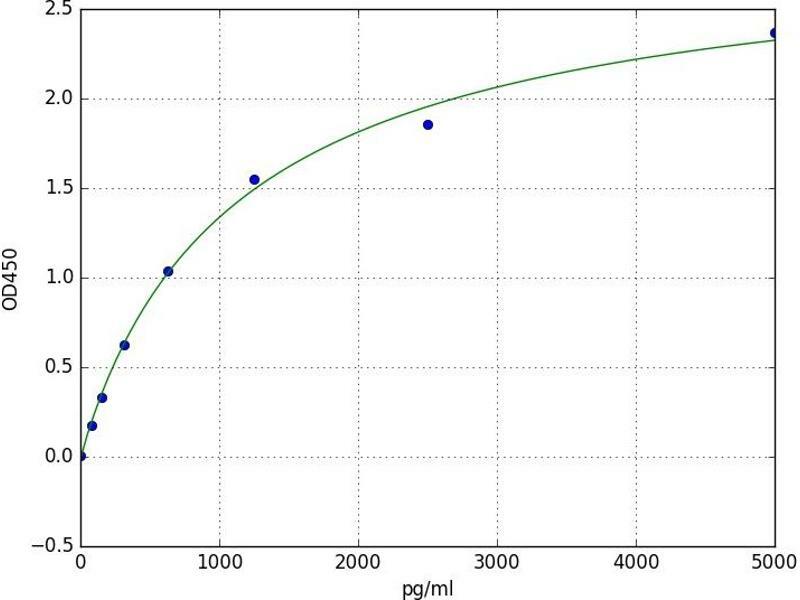 Multiple transcript variants encoding different isoforms have been found for this gene.